Hospitals and healthcare settings across the country are reporting a surge in mental health patients. To support the clinical nursing teams with vulnerable and challenging individuals, we provide specialist trained patient support officers to be assigned to specific patients at the request of the healthcare management team. The one-to-one patient watch service is utilised by a variety of wards within hospitals and private care homes to minimise risks to patients, nursing staff and members of the public. 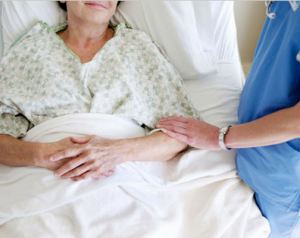 The role can be extremely sensitive due to the behaviour of the individual affecting other hospital residents and its visitors. Safeguarding of NHS staff, private nursing establishments and patients by reducing violent situations is a primary role of our officers. 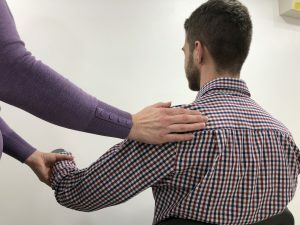 We provide clear advice and training on how to control and manage aggressive individuals safety using our pain-free physical intervention skills, holding guiding, disengagement and breakaway techniques. Attacks on healthcare staff can be sudden, serious, and life-threatening, which in-turn causes stress, anxiety and fear for other patients, clinicians and patient’s relatives. The one-to-one patient watch service is an essential necessity for managing vulnerable, challenging and aggressive patients whilst in a care setting. The service provides reassurance and confidence to the nursing teams within the hospital. We work closely with the adult safeguarding and psychological teams to ensure the correct level of supervision and support is maintained. In-patients whose actions or threats pose a high risk of physical assaults on staff and or patients. Those who have physically assaulted a member of staff and or another patient and there is a high risk of re-occurrence(s). Our specialist one-to-one patient support officers provide reassurance and committed support to vulnerable patients requiring 24-hour monitoring. Our soft care services are crucial to providing vulnerable individuals with trusted one to one support in a variety of healthcare settings. All of Right Guard Security Healthcare Services operatives receive specialist preparation training, including the MAYBO physical intervention programme that is provided & delivered by our sister company Mission Training. Right Guard Security is an ACS approved contractor. On-going training and continued professional development are provided by our sister company Mission Training.